When you are planning your room, there are some great rules of thumb to make sure you have the appropriate area to feel comfortable and make the most out of your space. 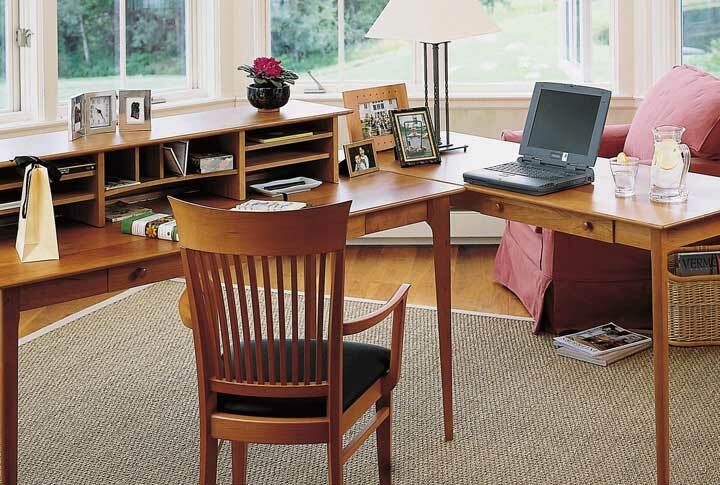 This is a crucial aspect to any space. It’s the area that you move throughout a space. If it’s too tight, you will feel squeezed and uncomfortable. The front entry to allow you to walk in and turn around. The space needed between pieces to provide comfort for people next to each other, as well as sufficient room for movement associated with intended use. When estimating how many you can sit at a table, allow a minimum of 22” – 24” of width for each chair at the dining table, depending on the size of the chair. This allows room for the chair (typically 20” wide) to be pulled out and have people sit side-by-side without bumping elbows. The idea is to have about 4-6” between chairs. The edge of a dining table should be at least 30” from the wall or surrounding furniture such as a buffet. This allows enough room for a person to get in and out of the chair. The space between sofa/chairs and coffee table should be 15-18.” This allows enough room to walk by, sit down and have the table usable and within arm’s reach. TV to seat distance varies depending on the size of the TV. A good calculation is 1.6 times the diagonal measurement of your television. If you have a 60″ television, multiply that by 1.6, which gives you 96 inches or 8 feet. Make sure to measure from where your eyes are, not the front or back of the sofa. The calculations can change depending on the resolution of your TV, so you may want to refer to your TV manual. Just keep in mind that there is an optimal viewing distance when arranging furniture for TV viewing. The dimensions below are general guidelines to assist in visualizing whether the vision you have for your room is achievable given the size limitations of your room. It can help you determine whether “average” sized furniture fits your space or if you need to seek out sources for smaller scale or larger scale furniture. Most beds are only about 5”- 8” larger in each direction (length and width) than the corresponding standard mattress size. 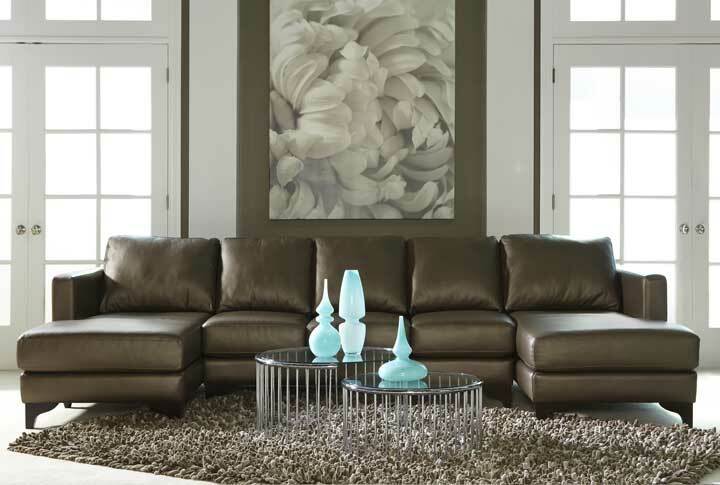 Most sofas are between 85”- 95” long x 38”- 41” deep, matching loveseats are between 60” – 70” long. Apartment or condo-size sofas are usually 70” – 80” long x 34” – 38” deep, with matching loveseats (if available) around 55” – 60” long. Coffee tables usually measure 42” – 54” long x 22” – 30” deep. 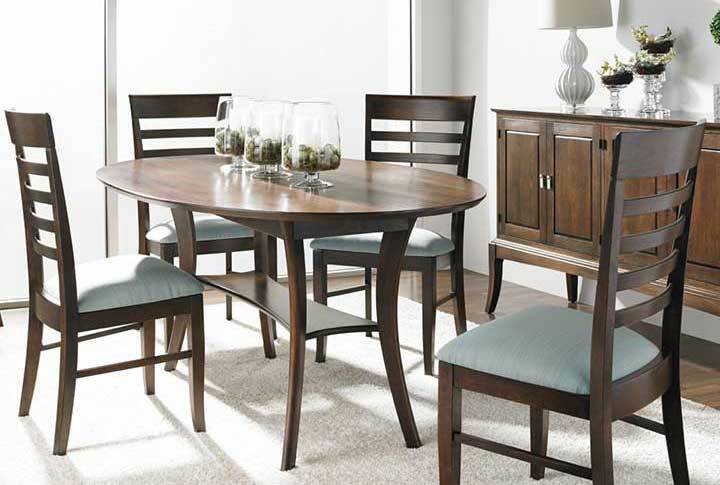 Dining chairs measure between 19” – 25” wide x 20” – 25” deep. Add at least 5” of width for arm chairs. Recliners are typically 35” – 45” wide x 40” – 45” deep and require about 20” – 25” of wall clearance for full recline. Smaller scale recliners will range from 29” – 34” wide x 38” – 40” deep and require about 16” – 19” inches of wall clearance. Most sectionals are at least 92” x 92” (and grow from there) with depths the same as sofas. Dining Room: The area rug should extend past the table 30” on each side so there is room for a chair to be pulled out and still be on the rug. Bedroom: Runners are common on the side of each bed. Rugs can go at the foot of the bed or even run under the bed if it is raised off the ground. Common area rug sizes include 4’ x 6’, 5’ x 7’, 6 ‘x 9’, 8’ x 10’ and 10’ x 12’. Runners are usually about 2 ½ feet wide x 5’ long, enlarging by 1’ increments to about 12’. Height difference between an end table and the chair/sofa arm should be 1-2” above or below. 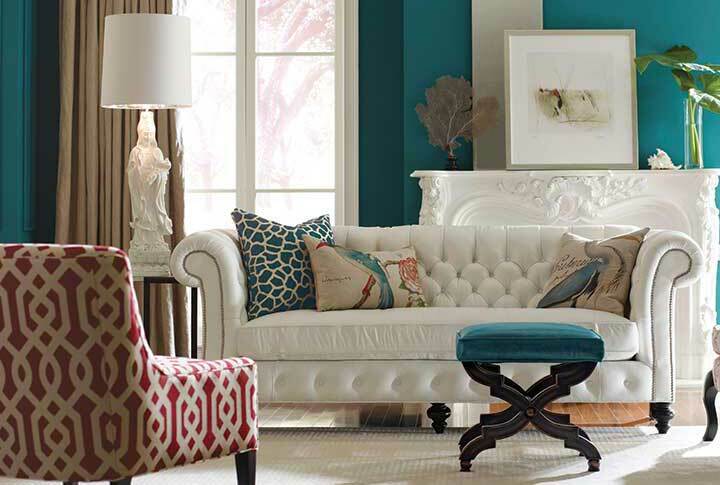 Console or sofa tables should not exceed the back height of the sofa. Coffee tables should be between 15” – 20” tall. Most coffee tables measure 17” – 18” high. Standard chair seat height is 17”- 18”. (Dining tables or desks measure 29” – 30” high). Nightstands should align with the top of the “undressed” mattress, give or take a few inches (taller being more ideal). Bedside lamp height should be 24” – 27” tall. If you are still not sure about the best way to place your new furniture, Creative Classics can help with our In-Store Floor Planning Service. 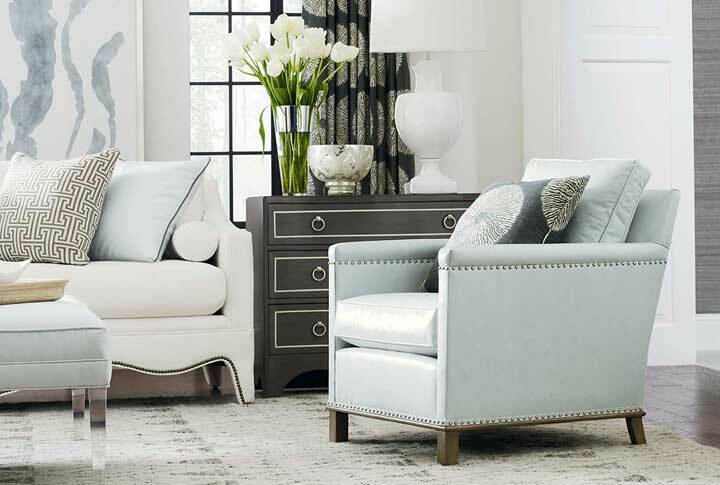 Once you have determined that the style, comfort and price of our furniture matches your needs and budget, we can assist with finding the best pieces and placement to achieve your vision.